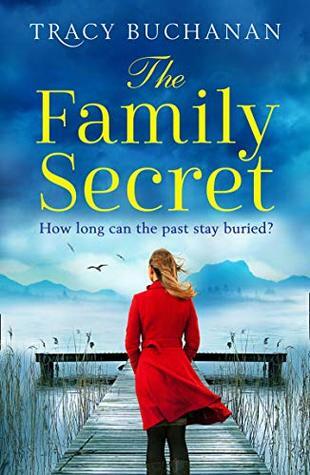 The Family Secret by Tracy Buchanan is the first of her books that I’ve read. Although I liked it, I didn’t love it, but maybe that’s because it is romantic fiction, a genre that I don’t read very often. It’s an emotional family drama set in two timelines. The narrative switches between the two periods – one in 2009 written in the third person present tense and the other in 1989 – 1996 in the first person past tense, so the timelines are easily distinguishable. The two storylines eventually merge. However, it begins with a prologue in which an unnamed woman drowns in a frozen lake, watched by an unnamed man. As I read on I was wondering who they were and what had led up to that scene and how it fitted into the main part of the book. There are plenty of secrets and several twists in the story. In 2009, Amber Caulfield comes across a young girl, stumbling along the beach at Winterton Chine on the south coast of England, not wearing a coat or shoes and unable to remember who she is, or how she got there. Amber who has her own problems decides to help her remember who she is and to reunite her with her family. The second storyline, beginning in 1989 is full of secrets too. Gwyneth is a wildlife documentary filmmaker who gets lost as she’s driving in the Scottish Highlands. She comes across a lodge overlooking a loch. It’s Christmas Eve, freezing cold and snowing, so she decides to ask for help, but seeing a ptarmigan gets out her camera to film the bird and steps onto the frozen loch, the ice cracks and she falls into the water. Fortunately she is rescued by Dylan McClusky and taken in by his family. She is made welcome but it soon becomes apparent that this is a dysfunctional family with a number of problems and secrets. Gwyneth too has a troubled background and a big secret that she keeps well hidden. It’s a novel about love, loss and guilt, but it’s a bit too predictable for my liking, with rather too many coincidences that weren’t very convincing. But it’s an easy and enjoyable book to read and it kept my interest to the end. I liked the vivid descriptions of the landscape and wildlife both in the Scottish Highlands and in Iceland in the depths of winter, bringing the settings to life. My thanks to the publishers, Avon Books UK for my review copy via NetGalley.